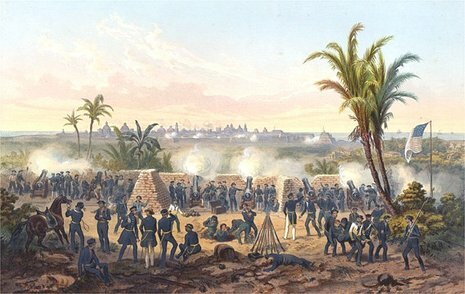 The Battles of Churubusco took place on August 20, 1847, in the immediate aftermath of the Battle of Contreras (Padierna) during the Mexican-American War. 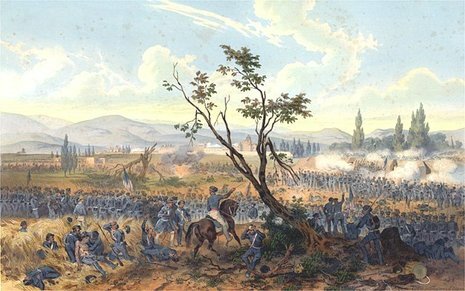 The defeat of the Mexican army at Churubusco left the U.S. Army only 5 miles (8 km) away from Mexico City. The Saint Patrick's Battalion (San Patricios) was a group of several hundred immigrant soldiers, the majority Irish, who deserted the U.S. Army because of ill-treatment or sympathetic leanings to fellow Mexican Catholics. They joined the Mexican army. Most were killed in the Battle of Churubusco; about 100 were captured by the U.S. and roughly half were hanged as deserters.